​Making a newspaper is something of an art. Making a newspaper, I’ve found, is something of an art. There is—literally—the act of printing the thing, 2,700 of them, clanging through the presses in our basement as I make my way home down Plympton Street bleary-eyed at 5 a.m. That’s a process, and I think it’s beautiful, but the work starts hours before. I’m the managing editor of The Harvard Crimson, which depending on your perspective is either a really impressive campus newspaper or one whose reporters you should ignore if they call. My job is to define and maintain high standards for the quality of our writing and the rigor of our reporting. At its most simple, I am supposed to make a good newspaper, whatever that entails. Since my guard and I took over The Crimson in January, we’ve produced some very good papers. We’ve printed some pretty mediocre ones, too, but most of them have had at least something—one story, one photo, one quote—that made it worthwhile. Twelve months and some 135 papers in, I think I have enough perspective to say this. It took a while, though, for me to learn and appreciate what makes a truly good newspaper—the subtleties in smart prose, the nuances in headline choice, the angles to capture, or rather not to miss. Real quality, I now know, has nothing to do with any number of pages, and everything to do with the questions they answer and raise. The best papers are aggressive, expertly reported and full of Harvard’s responses to our toughest questions, or taking it to task for not answering them. They thirst for scoops, offer smart analysis, and eschew fluff. They embrace our purpose of keeping campus decision-makers accountable, and they do it well. When I sit at my desk at the end of my day, though, and reflect on the paper that will soon emerge from our basement presses, the stories that stick out—the writing that takes a paper from uninteresting to good to great—are not only about Drew Faust or University fundraising. A good paper has those stories, and it should, but they are not always what pushes it over the edge. What often makes a great paper, I’ve come to learn, is color. It is thoughtful, and clever, prose. It is a mix of stories that take everyday issues and approach them with a creative twist. We tell the story of a fast-growing Faculty with a walk through cramped offices in converted Cambridge homes. The NCAAs become a grounds for fundraising during Harvard’s record-seeking drive. And a final club party scene under administrative scrutiny, it turns out, is best viewed from Felipe’s rooftop; a weeklong protest of Harvard’s investments, from a dorm room window. These stories are often quirky; my favorites are fun, sarcastic, and sometimes flatly absurd. They are always revealing of some aspect of campus life, doing our part to document the day-to-day at an elite academic institution in 2015. We catch Harvard’s many characters—because, oh, there are characters—at their most candid, and then we write it down. I have just one year to make a newspaper—this newspaper, my pride and my joy. But in that time, there are dozens in between. There are many thrills to making a paper—the rush of scooping a big story, the agony over word choice, that feeling of accomplishment when, the sun not quite rising, we finally put a finished product to bed. But perhaps the best part of the process is knowing that you have the chance to do it again, and do it better, the next day. A former editor once described this job as crazy; a year in, I have to say he’s right. Making a newspaper, day in and day out, is all-consuming. It’s frustrating and stressful and hard. It’s also among the most intellectually challenging, creative, and rewarding projects a group of college students could take on. All together, this newspaper is a constant back-and-forth to best tell the ongoing narrative that is Harvard. It’s fast changing, sometimes baffling, and so consistently exciting to a group of student editors doing our best to keep up. It’s an absorbing thing, this newspaper. I’ll be sad to let it go. 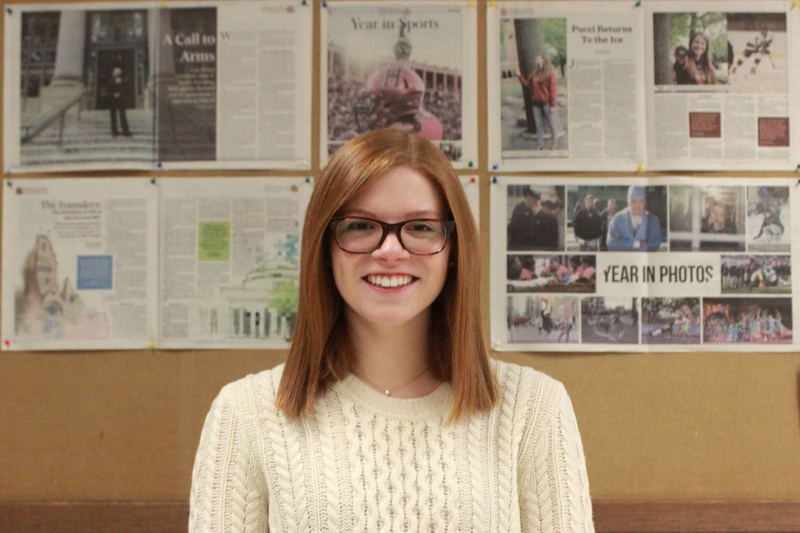 Madeline R. Conway, The Crimson’s managing editor, is a History concentrator in Winthrop House. She has a tendency to overthink, and on occasion finds that useful, if sometimes inconvenient.